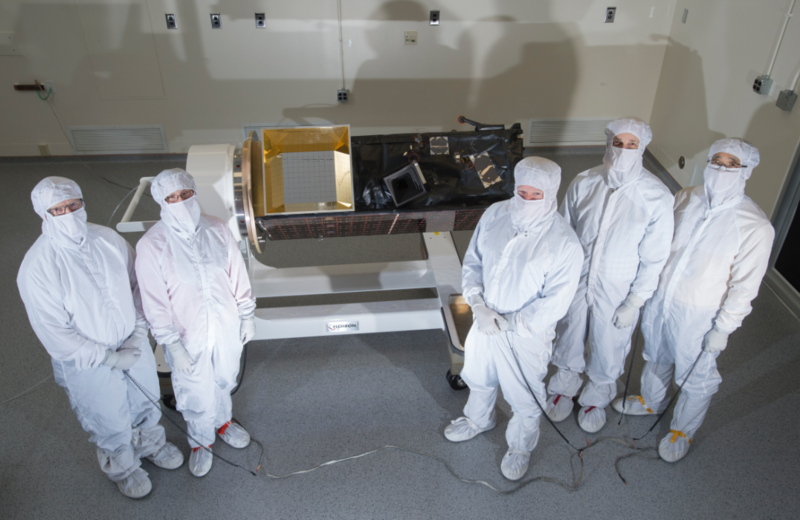 The Massachusetts Institute of Technology's Lincoln Laboratory engineering team stands in front of the Operationally Responsive Space (ORS)-5 satellite in the MIT LL clean room at the Lexington, Massachusetts facility, prior to shipment for final processing and stacking atop an Orbital ATK Minotaur IV launch vehicle at Launch Complex 46, Cape Canaveral Air Force Station, Florida. From left to right: Joe Warfel - Assembly Technician; Michele Weatherwax - Mechanical Engineer; Al Pillsbury - Mechanical Engineer; Marshall Solomon - Thermal Engineer, and; Eui Lee - Thermal Engineer. 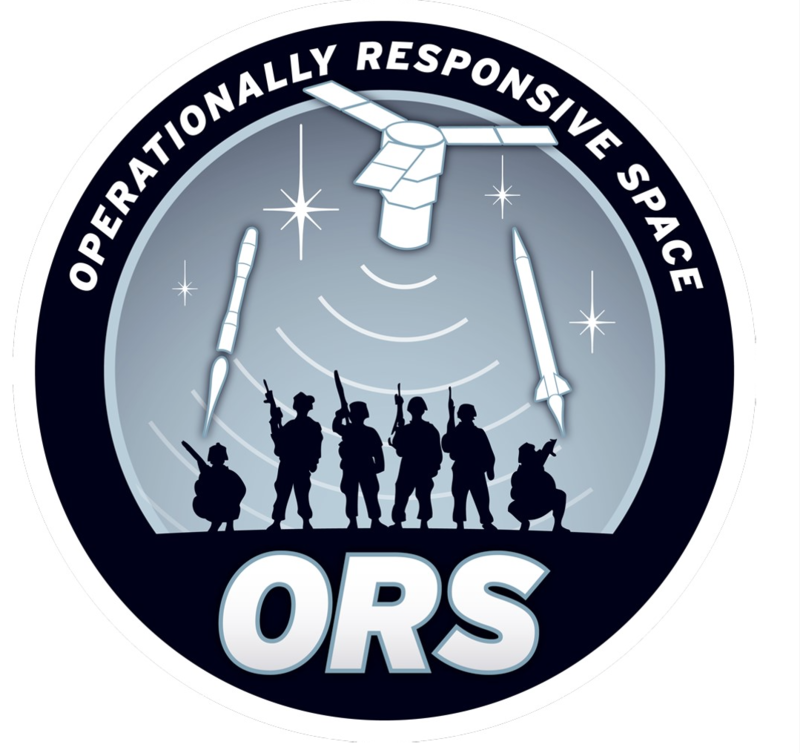 ORS-5, also known as SensorSat, is a single satellite constellation with a primary mission to provide space situational awareness. It measures about five feet long, two and a half feet wide, and weighs about 250 pounds. It will operate from a low, zero inclination orbit approximately 372 miles above the earth to aid the U.S. military's tracking of other satellites and space debris in geosynchronous orbit, 22,236 miles above the equator, commonly used by defense-related communications satellites, television broadcasting stations, and international space platforms. (Courtesy photo: MIT LL). A milestone has been achieved due to the collaboration of the U.S. Air force and an MIT team, with the end result assisting the warfighter. 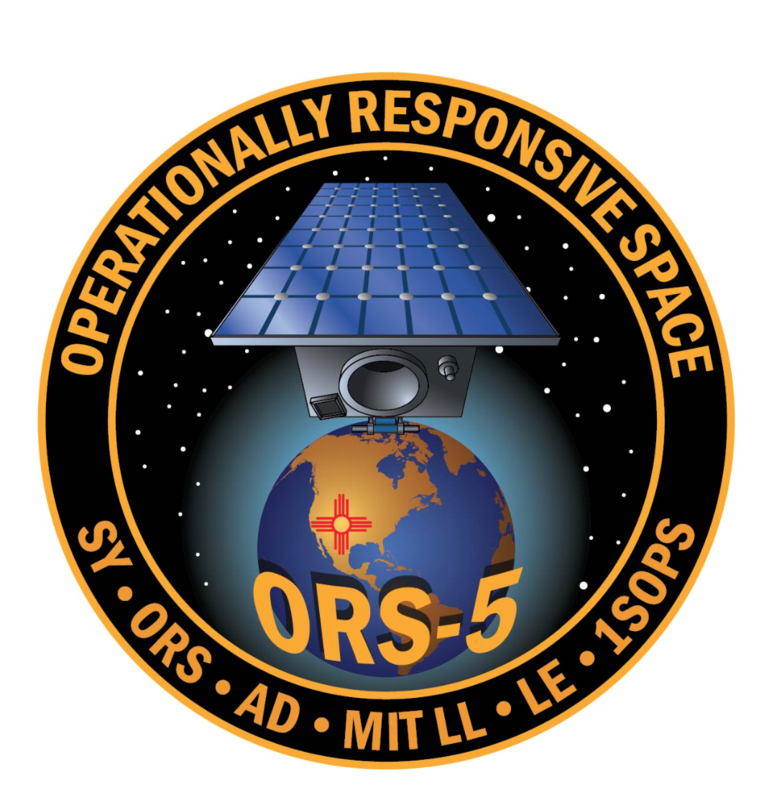 The ORS-5 satellite is scheduled for launch August 25 at 11:15 p.m. EDT from Launch Complex 46 at Cape Canaveral Air Force Station. Air Force Space Command's Space and Missile Systems Center, located at Los Angeles Air Force Base, California, is the U.S. Air Force's center of acquisition excellence for acquiring and developing military space systems. Its portfolio includes the Global Positioning System, military satellite communications, defense meteorological satellites, space launch and range systems, satellite control networks, space based infrared systems and space situational awareness capabilities.